We are pleased to publish some reflections from women about what they see as the most important change for women in the life sciences and healthcare sector in recent years. Click here to see their comments and contribute your own reflections. This is part of an ongoing public engagement project to champion the contributions of women in the biomedical sciences. Click here to find out more about this project. Find out about some of the hidden women at the cutting edge of the science by visiting our profiles of some of the women who have helped shape biotechnology. Click here to see a timeline of initiatives implemented to promote gender equality in the biomedical sciences. Click here to see a timeline of some some key biomedical discoveries in which women played a pivotal role. 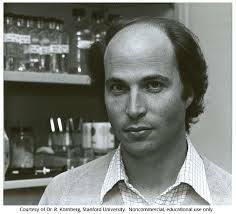 Kornberg is a biochemist whose research is focused on working out the mechanism and regulation of transcription, which is the first step in the pathway of gene expression. In 2006 he won the Nobel Prize for working out the protein pathway that a cell's genetic information takes when transferred to a new cell. He showed how information is carried from the genes and converted to molecules called messenger ribonucleic acid (RNA). This he worked out by mapping out the process in yeast. Kornberg was the first to work out how transcription works at a molecular level in eukaryotes, a group of organisms, including humans, whose cells have a well-defined nucleus. Profiles: Kornberg. Sciences: Genetics, RNA. Domagk was a German pathologist, physician and bacteriologist. 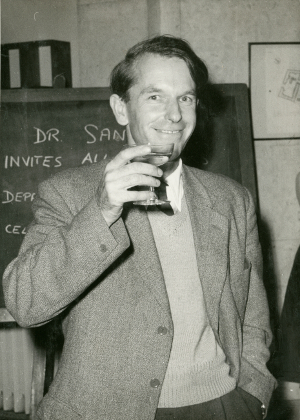 He is best known for having found sulphonamide to be an effective drug against bacterial infections. 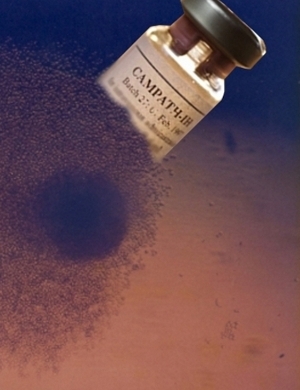 The molecule had originally been synthesised by chemists at the German company Bayer in 1908. 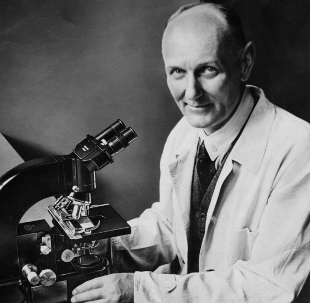 Domagk discovered the antibacterial properties of the drug through preliminary tests in mice in 1931. Soon after this he successfully treated his own daughter struck down by a severe streptococcal infection. His work paved the way to the widespread adoption of sulphonamide drugs, the first commercially available antibiotics, in the late 1930s to treat infections caused by streptococci, including blood infections, childbirth fever, and erysipelas. Domagk was awarded the Nobel Prize in 1939 but the Nazi regime forced him to refuse it, with the Gestapo putting him under arrest for a week. He finally received the Nobel Prize in 1947. Sciences: Antibacterial agents, Bacteriology. Visit our science section to explore some of the most important sciences behind biotechnology and medicine including: Phage display. Phage display is a laboratory platform that facilitates the study of protein to protein, protein to peptide, and protein to DNA interactions. The technology involves the genetic modification of bacteriophages (phages), single-stranded DNA viruses that infect bacteria so that they can display a target protein or peptide on their surface. 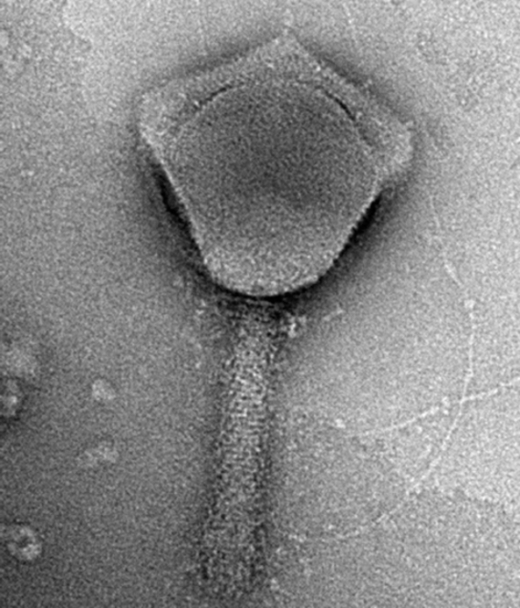 When compiled into large libraries these phages enable the high-throughput screening of proteins to identify those which bind strongly to molecules of interest. Phage display is vital to many basic biomedical research applications and for drug discovery and pharmacology. Click here to learn more about phage display. Ever wanted to tread in the footsteps of scientists to understand how they come up with new ideas in the laboratory and translate these into new products for patients? You can do this by visiting our special exhibitions section. Using photographs, laboratory notebooks and other historical sources, these exhibitions bring to life some of this process. See for yourself some of the ups and downs the scientists have faced along the way. Exploring the lives and works of the leading people from across the world like Rosalind Franklin (pictured) whose efforts have helped build biotechnology into a world changing science. Rosalind Franklin (Born:1920-07-25T00:00:00+00001920 - Died: 1958-04-16T00:00:00+00001958) Rosalind Franklin was an x-ray crystallographer whose work helped uncover the double-helix structure of DNA. 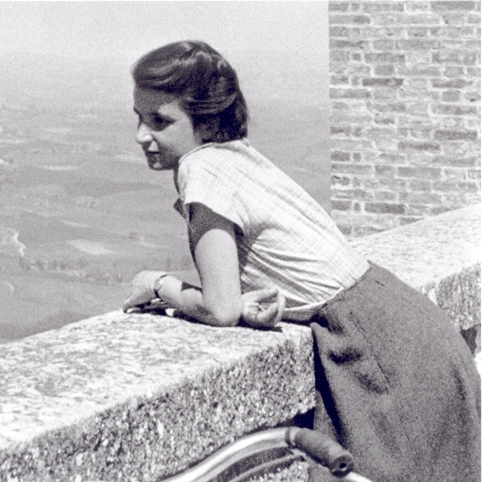 Click here to learn more about Rosalind Franklin. 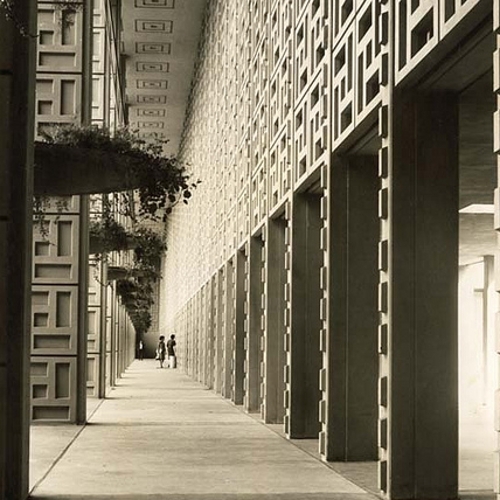 Exploring the places and institutions, and people working in them, across the world like Stanford University Medical School (pictured) where the science of biotechnology has been developed. At the forefront of many biomedical advances since the Second World War, Stanford University Medical School played a pioneering role in the emergence of gene cloning. Click here to learn more about Stanford University Medical School. An ever-growing list of events, currently 1778 events, that have contributed to the growth of biotechnology. Click here to browse the timeline. For timelines for specific sciences click here: antibodies, CRISPR-Cas9, genetics, gene therapy, immunotherapy, monoclonal antibodies, vaccines, virology. For timelines for specific places click here: Cambridge University, Harvard University, The Laboratory of Molecular Biology, The Pasteur Institute, Rockefeller University, The Wistar Institute. For timelines for specific people click here: Cesar Milstein, Fred Sanger, Donall Thomas, Herman Waldmann. 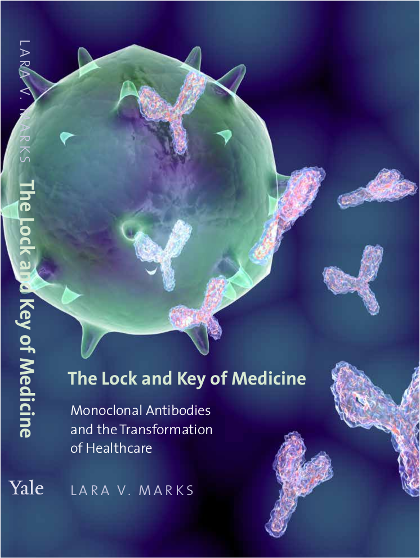 Yale University Press has announced the publication of The Lock and Key of Medicine: Monoclonal Antibodies and the Transformation of Healthcare by Lara V. Marks (Yale University Press, Amazon). Forty years ago, viable monoclonal antibodies, imperceptibly small 'magic bullets', became available for the first time. First produced in 1975 by César Milstein and Georges Köhler at the Laboratory of Molecular Biology in Cambridge, England (where Watson and Crick unraveled the structure of DNA), Mabs have had a phenomenally far-reaching effect on our society and daily life. The Lock and Key of Medicine is the first book to tell the extraordinary yet unheralded history of monoclonal antibodies, or Mabs. Though unfamiliar to most nonscientists, these microscopic protein molecules are everywhere, quietly shaping our lives and healthcare. They have radically changed understandings of the pathways of disease, enabling faster, cheaper, and more accurate clinical diagnostic testing. Historian of medicine Lara V. Marks recounts the risks and opposition that a daring handful of individuals faced while discovering and developing Mabs, and she addresses the related scientific, medical, technological, business, and social challenges that arose. She offers a saga of entrepreneurs who ultimately changed the healthcare landscape and brought untold relief to millions of patients. Even so, controversies over Mabs remain, which the author explores through the current debates on their cost-effectiveness. 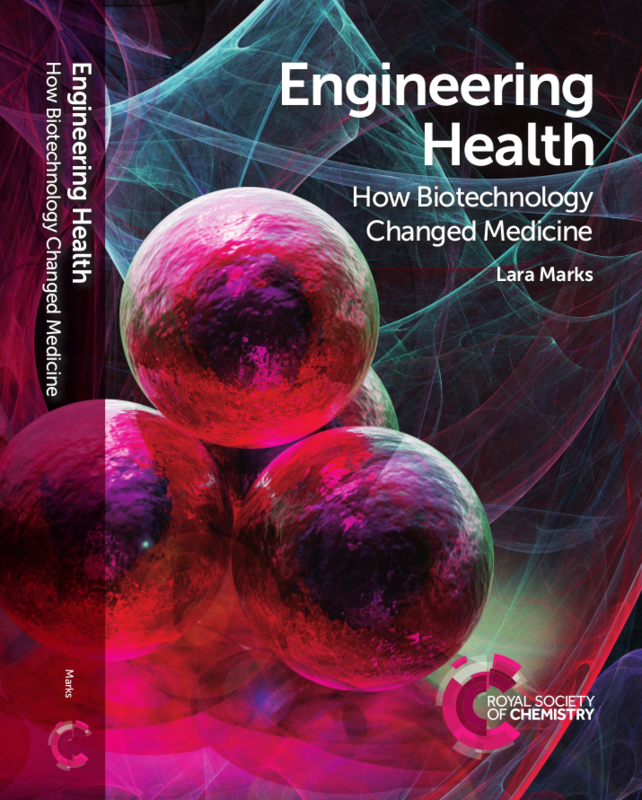 The Royal Society of Chemistry has announced the publication of Engineering Health: How Biotechnology Changed Medicine edited by Lara V. Marks (The Royal Society of Chemistry). Written in an accessible style, experts trace the development of biotechnologies like stem cells, gene therapy, monoclonal antibodies and synthetic biology and how these are reshaping the diagnostic and therapeutic landscape. Building on material from this website, this book shows the challenges behind the application of biotechnology to medicine. With medicines increasingly shifting from small organic molecules to large, complex structures, such as therapeutic proteins, drugs have become more difficult to make, administer and regulate. This book will intrigue anyone interested in the past, present and future of how we engineer better health for ourselves. The rise of biotechnology has major implications for how and where drugs are manufactured, the cost of medicine and how far society is prepared to go to combat disease. 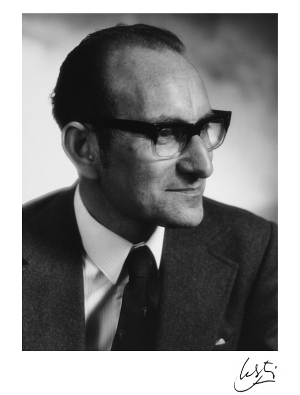 It is now over 40 years since César Milstein and Georges Kohler published their technique for producing monoclonal antibodies. To celebrate the occasion we invite you to watch the film Un Fuegito about the life and work of Milstein, produced by Ana Fraile, Pulpofilms. The film, which you can find on vimeo.com, has been released to help raise funds for a new educational film to promote greater understanding about monoclonal antibodies and how they have transformed the lives of millions of patients across the world. Scientists have recently begun to adopt a new technique for genetic engineering, called CRISPR-Cas9, in a wide number fields ranging from agriculture to medicine. Part of its attraction is that it permits genetic engineering on an unprecedented scale and at a very low cost. The technique is already being used in a variety of fields (click here for more information about CRISPR-Cas9). But because of its potential to modify DNA in human embryos, it has prompted calls for a public debate about where the technology should be applied. Researchers working with WhatIsBiotechnology.org recently ran a pilot survey to gather people's views on the new technology. Dr Lara Marks, Managing Editor of WhatisBiotechnology.org and historian of medicine and Dr Silvia Camporesi, bioethicist at King's College London, led the project. Some 567 people contributed to the debate. The analysis of their contributions is available on this page. We are working on a number of new and exciting projects with highly talented partners and collaborators that we plan to launch in the latter part of this year and next year. These projects include an examination of the role of women in healthcare and the life sciences, a project about conquering hepatitis B and an in-depth exploration of the new sciences around cancer immunotherapy. Click here to find out more about the new projects that we are currently working on.